GOOD WINE DOESN'T HAVE TO BE COMPLEX, INTIMIDATING OR EXPENSIVE TO BE AMAZING. 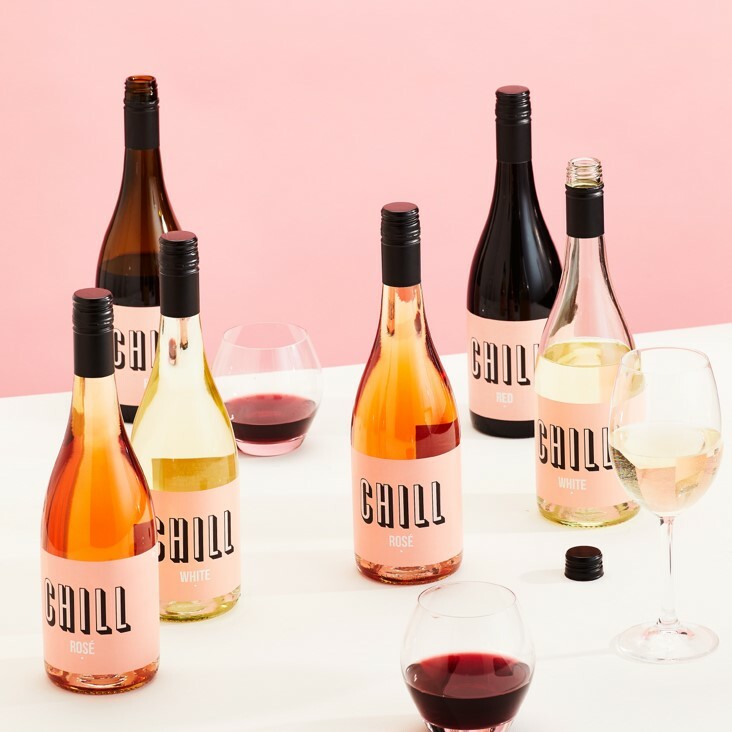 CHILL WINE IS ALL ABOUT CONNECTING WITH EACH OTHER. FROM THE STORY IN THE VINEYARD, TO THE CHEERS BETWEEN FRIENDS, WINE IS TO BE SHARED. CHILL WINES COME FROM THE HIGHEST QUALITY ESTATE VINEYARDS IN NEW ZEALAND. ALL OF OUR WINES ARE CERTIFIED SUSTAINABLE, VEGAN AND ENVIRONMENTALLY FRIENDLY. Hailing for the Hawke's Bay region of New Zealand the 2017 Sauvignon Blanc has 6 month sur lee with regular battonage during aging. A pH of 3.15, TA 6.2 and a low alsohol of 12%. A light frgant wine with hints of passionfruit gooseberry and the briny scent of the sea. 100% Cabernet Franc from a single site in Hawke's Bay. A pH 3.53, TA 5.42 and a low alcohol of 12%. A plush palate with a hint of nettle, mint and strawberry's and cream. Cabernet Franc is picked at about 23 brix pressed and fermented cool at about 14 degrees C high solids ferment with long lees contact and battonage. 100% Hawke's Bay Merlot . The 2017 was aged in seasoned barrels up to 10 years old with no fining. A pH of 3.79 TA 4.53, alc 13.0%. 30 days maceration, before elevage in barrels. Soft easy drinking wine, damsin plums exotic spice with a hint of cardamon and clove.